We’ve discussed in our previous articles how the Vestey family successfully moved to an insurance buyout with the Western United Group Pension Scheme. The project not only removed the large scheme liability from the Vestey balance sheet, but members’ benefits were increased and all costs paid without any additional financial input from the company. Pension buyouts can often be mistakenly seen as a last resort or even some kind of dereliction of duty from family employers, but, as with our own experience, they can often be the perfect way to properly secure the futures of pension members and the company. Each family business will have their own reason for considering a pension buyout or other ways of de-risking their pension provision, but here are a few suggestions that can lead you down this path. For many family businesses, succession planning is one of the biggest items on their agenda. It is not a point-in-time handover, but often a lengthy and considered strategy to develop an understanding of the future of all aspects of the company and family’s direction and financial plan. For some families the next generation will wish to continue the pensions promise made by previous generations and will seek to understand and engage with the scheme, so they are prepared for when it is their time to manage the scheme in the future. For many others, however, the scheme, especially if it is underfunded, will be seen as a legacy that future generations will not want to be burdened with. For these families a buyout represents a clean break, ensuring the pension promise made to employees in the family business is maintained and taken forward by experts. It allows the next generation to concentrate on the future of the family business in other areas by removing a major risk. If an underfunded scheme appears unattractive to your next generation, the same applies to many potential suitors if you are looking to exit your business. Whilst maintaining your promise to scheme members on their retirement fund, the buyout allows the obligation of contributions, adviser costs and management time to be removed from the commitments for buyers. There are a small number of companies in specific sectors who are willing and able to manage legacy arrangements. In most circumstances ridding the company’s balance sheet of the scheme liabilities, thereby showing the true and brighter potential of the business’ profitability, will attract a greater number of interested parties. It’s not only those family business owners who are looking to pass on the company who should consider a buyout for their scheme, those who are committed to financing the long-term future of the family business can also really benefit from the process. Whether plans for acquisitions, the development of new technology, infrastructures and growth, removing the impact of the pension scheme from the balance sheet and on future monetary commitments can have a real impact on your ability to bring these plans to life. It can also free up senior management and resources to spend time on planning the best future for the business, rather than managing the legacy scheme. In the same way that removing the scheme can help with investing in the future of the business, it can also be a critical factor in turning around the business’ fortunes. Passing the responsibility for the pension scheme to an insurer can free up much needed capital and resource that could be the difference between the family business being unable to continue or successfully developing for the benefit of future generations. The process brings a positive message to family employees that you are securing the future of their jobs and the company, whilst reiterating the security that comes with an insurer taking on the responsibility for the scheme. Pension buyouts can also be a great answer for family businesses who don’t think they have a problem. It may be that you had never thought about the need to de-risk your pension commitments, or that the funding level of the scheme had always been strong. The important point here though is that this may not always be the case and pensions require a much longer horizon – so opportunities may be too good to miss. Having a strong funding level, excellent member data and a healthy outlook mean you don’t need to de-risk, but it doesn’t mean that you shouldn’t de-risk. Market conditions in the buyout sector fluctuate as much as other financial areas and there are therefore often windows of opportunity where pricing and competition in the insurance market will really work in your favour. At this point being a scheme with good funding, good data and a strong employer connection will make you an even more attractive proposition to insurers. So even though you hadn’t planned it, if your advisers can demonstrate that a window exists of a perfect combination of factors that may not come around again, you should consider whether this represents an opportunity worth taking in de-risking your pension position. Passing your pension scheme to an insurance company should be seen as a positive commitment to members rather than withdrawing your backing from them – it gives a security that their retirement plans will be assured and won’t be affected by future changes to the company’s position. It can also provide much-needed reassurance for job security and that the family company has for a real future. And if your time at the helm is coming to an end, either through introducing your new generation or finding a new owner, the chance to secure the future of the scheme in your own generation can help by passing the family business onto future generations or valuing the company at a much more attractive position if you are considering a disposal or IPO. This article was first published on the Institute for Family Business website. 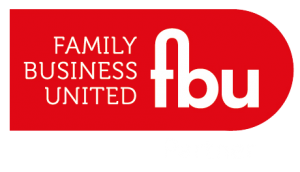 The Institute for Family Business (IFB) is a not-for-profit, membership organisation supporting and championing UK family business. Our mission is to help family businesses celebrate, leverage and sustain their unique contribution to the long-term prosperity of the UK. 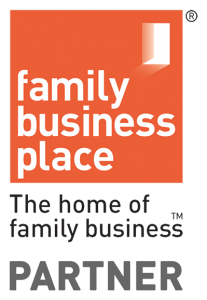 We are the voice of UK family firms, supporting families through events, connections, and the latest family business knowledge. Our members have a combined turnover of £100bn, and employ around half a million people. Our Boots Are Made For Walking. WESTERN PENSION SOLUTIONS LIMITED IS A LIMITED COMPANY REGISTERED IN ENGLAND. COMPANY REGISTRATION NO. 11717816. 29 ULLSWATER CRESCENT, COULSDON, SURREY, CR5 2HR.